India's second-largest software services firm expects its topline to grow 7.5 - 9.5 per cent in FY2019-20 in constant currency terms. IT major Infosys on Friday reported 10.5 per cent growth in consolidated net profit at Rs 4,078 crore for the March 2019 quarter as against Rs 3,690 crore a year ago. Revenue of the Bengaluru-based firm grew 19.1 per cent to Rs 21,539 crore in the quarter under review from Rs 18,083 crore in the corresponding period last fiscal, Infosys said in a BSE filing. 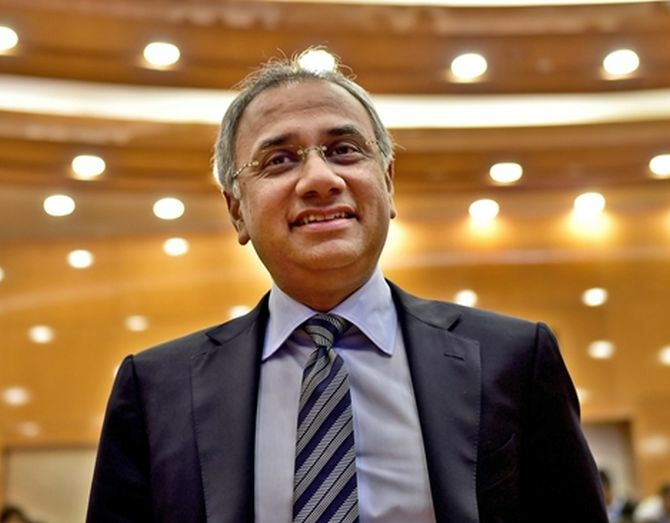 In US dollars, Infosys saw its net profit growing 1.7 per cent to $581 million in the March 2019 quarter from $571 million in the year-ago period, while revenues rose 9.1 per cent to $3.06 billion from $2.8 billion a year ago. For 2018-19, profit declined 11.5 per cent to $2.2 billion, while revenues grew 7.9 per cent to $11.7 billion.